2. Compulsive hoarding is considered a form of (OCD) (Obsessive-Compulsive Disorder) because between 15 and 43 percent of people with OCD experience some compulsion to hoard. However, compulsive hoarding can affect people who don’t have OCD as well. 3. The Obsessive-compulsive disorder Collaborative Genetics Review documented that hereditary linkage results are different OCD households with as well as with out hoarding behaviour, indicating that the location on chromosome 14 is related with obsessive hoarding conduct within individuals which hoarding is really a unique hereditary subtype associated with OCD. 4. The aversion to hoard often begins during childhood or during teen age years, but does not often increase in severity until adulthood. 5. Compulsive Hoarding is more about fear of throwing objects away than about collecting or saving. Thinking about disposing of an item or object triggers anxiety in the hoarder, so he/she hangs on to the item to prevent angst. 6. Many hoarders are generally perfectionists. They fear making the wrong decision about what to keep and what to dispose of , so they simply keep everything. 7. Compulsive Hoarding often runs in families and can frequently accompany other mental health disorders, such as social anxiety, bipolar disorder, depression, and impulse control issues. The majority of people with hoarding issues can identify other family members who have the same problem. 8. 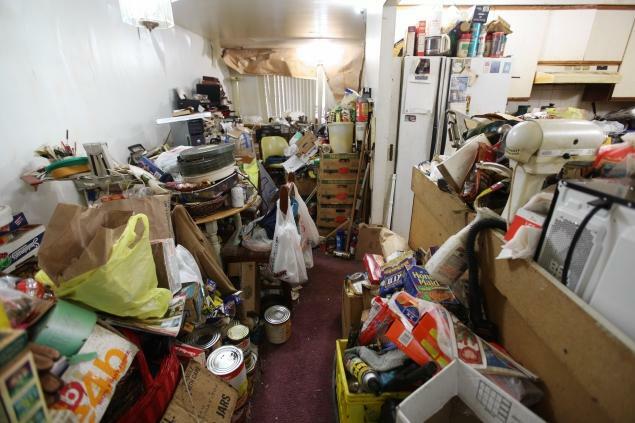 Compulsive hoarders are mostly in denial, rarely recognizing their problem. Usually is only after the hoarding becomes a problem with other family members is the problem discussed. 9. Hoarding is difficult to control. It is usually treated with the same methods Obsessive-compulsive disorder is. However unfortunately, compulsive hoarding doesn’t generally respond to treatment as well as other forms of OCD. 10. (CBT) Cognitive Behavioral Therapy can be more a more effective treatment for compulsive hoarding disorder than medications, particularly when it involves a behaviour therapist going into the home of the hoarder and helps him/her to develop habits and a consistent behavior to try to de-clutter her life, home or car.